via MadameNoire by Marsha B.
Neijae Graham-Henries has a philanthropic spirit that is to be admired. 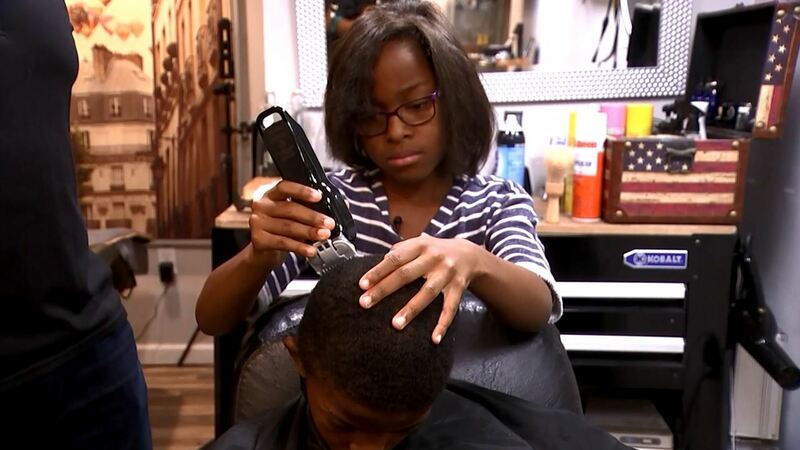 This past summer, the 8-year-old Philadelphia resident attended the Junior Barber Academy lead by P. Michael Boone. Boone created a six-week program to give young men the tools they needed to become a barber. Henries younger brother attended the orientation but later decided that fit wasn’t quite right for him. Instead, his sister attended the first day as the youngest girl in an all-boy class. Henries devotion and dedication to her craft, caused her not to miss any days of the program. “I never expected to see a young lady in my class, but she was eager to learn, and I gave her the same guidance I’d give my older students,” Boone told Yahoo Style. Upon her completion, the budding barber and future entrepreneur decided to give back to the community by giving out free haircuts.